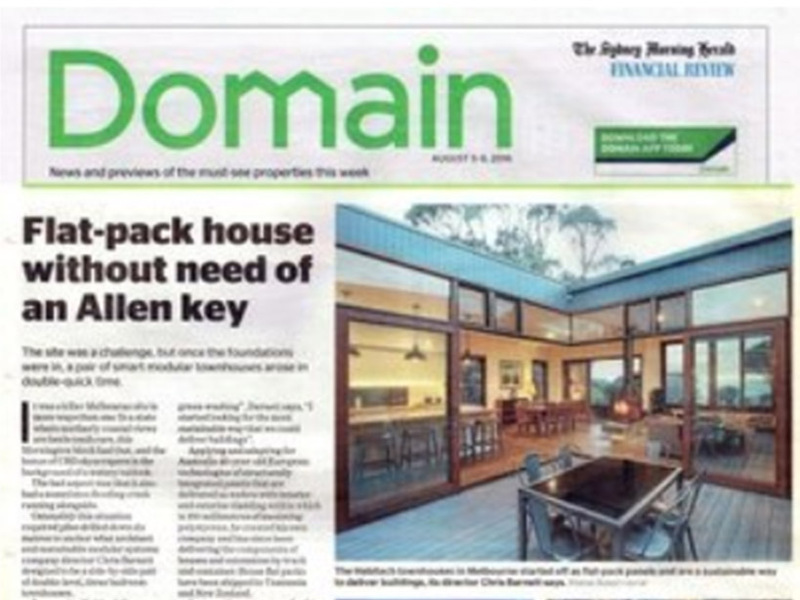 We are excited to currently have our first house in Tasmania in manufacture and are planning to head down there in May to assist with the installation of our modular elements. 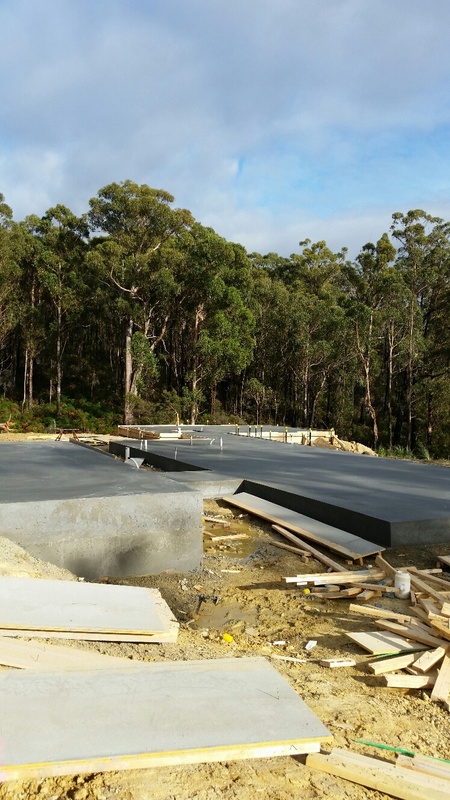 Giving the project a bit of a national approach, our clients are actually builders from Warrnambool in Victoria who are building themselves a house looking over the water on a stunning site just south-west of Hobart in Brooks Bay. 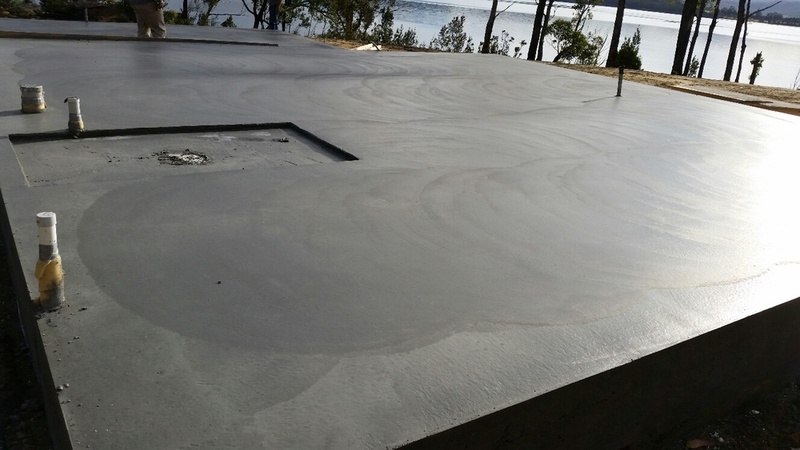 Tony has been down there doing a beautiful job pouring the waffle-pod slabs for the project, as shown in the photos below.